Over one-third of people aged 65 years and older in New Zealand were dispensed a proton pump inhibitor (PPI) in the last year. PPIs are generally well tolerated; however, long-term treatment can be associated with an increased risk of adverse outcomes. PPIs should be used only when there is a specific clinical indication, and at the lowest effective dose for the shortest period of time. When appropriate, PPI treatment may be stepped down to a lower dose, used as needed only or stopped completely. What are proton pump inhibitors (PPIs)? Which PPIs are available in New Zealand? There are currently three fully subsidised PPIs available in New Zealand: omeprazole, pantoprazole and lansoprazole. Omeprazole and pantoprazole can also be purchased in limited quantities as “Pharmacist Only” medicines at a maximum dose of 20 mg. Rabeprazole is also available with a prescription but is not subsidised. PPIs are generally well tolerated when used short-term. The most common adverse effects are headaches or GI disturbances, e.g. diarrhoea or constipation, however, symptoms are usually mild. PPIs may interact with other medicines by altering their absorption or hepatic metabolism, however, in general, this has little clinical significance. Older people can be more susceptible to the effects of medicine interactions due to the presence of frailty and/or the use of multiple medicines. Dose adjustments or switching to another type of PPI may be appropriate for some patients. Long-term PPI use has been associated with an increased risk of several adverse outcomes in observational studies, including bone fractures, vitamin B12, magnesium or iron deficiency, Clostridium difficile infection and community-acquired pneumonia.13, 22 While causality has not been established and the absolute risk of these adverse effects is generally considered to be low (see: “Adverse effects associated with long-term PPI use), each practice is likely to have a number of patients taking PPIs, some of whom may be more susceptible to these adverse outcomes due to co-morbidities, medicines use or the presence of frailty. Fracture risk. Some older people taking PPIs may be more vulnerable to fractures than others, e.g. increased risk of falls due to frailty. Ensure that patients with risk factors for osteoporosis maintain adequate vitamin D and calcium intake, and that strategies to reduce the risk of falls are in place, e.g. avoiding medicines associated with a risk of falls and/or recommending exercises to improve strength and balance, the use of walking aids and installing hand rails at home. Nutrient deficiencies. A balanced diet including foods that contain vitamin B12, magnesium and iron should be sufficient to avoid nutrient deficiencies for most people taking a PPI long-term, and routine monitoring of magnesium or vitamin B12 levels is not recommended.13 If patients are not able to meet their daily intake requirements of these nutrients through diet alone, supplementation may be appropriate. Infection risk. While the increased absolute risk of C. difficile infection is low, other factors such as recent antibiotic exposure and hospitalisation add to this risk.22 Evaluation of the risk versus benefit of long-term PPI treatment should be considered for patients with multiple risk factors.22 Encourage pneumococcal vaccination for all older people, including those taking PPIs long-term. * Adjustment for confounding factors, including concurrent NSAID treatment, differed between the studies included in this meta-analysis. PPI use should be periodically reviewed to determine whether long-term use is still indicated. For people who are taking multiple medicines, stopping unnecessary treatment with a PPI has the added benefit of reducing the number of medicines they are taking, i.e. 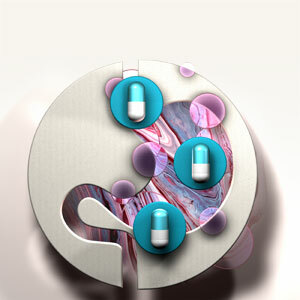 the “pill burden”, and may improve adherence to their regimen of medicines that are necessary. A “step down” approach may be considered for people who have been prescribed a PPI, are no longer experiencing symptoms and/or where withdrawing the PPI is appropriate, i.e. long-term PPI treatment is not required. Stepping down involves gradually reducing the dose over time, e.g. two to four weeks, before stopping the medicine completely. Step 2: Halve the daily dose of the PPI or change the frequency of dosing, e.g. from twice daily to once daily or from daily use to alternate days. Patients who have been on a high dose are likely to require a second or third step-down to reach the lowest dose, e.g. 10 mg on alternate days. New Zealand Formulary (NZF). NZF v78. 2018. Available from: www.nzf.org.nz (Accessed Dec, 2018). Caro JJ, Salas M, Ward A. Healing and relapse rates in gastroesophageal reflux disease treated with the newer proton-pump inhibitors lansoprazole, rabeprazole, and pantoprazole compared with omeprazole, ranitidine, and placebo: evidence from randomized clinical trials. Clin Ther 2001;23:998–1017. Wang W-H, Huang J-Q, Zheng G-F, et al. Head-to-head comparison of H2-receptor antagonists and proton pump inhibitors in the treatment of erosive esophagitis: a meta-analysis. World J Gastroenterol 2005;11:4067–77. bpacnz. Annual practice report - pharmaceutical utilisation July, 2017 - June, 2018. 2018. Available from: https://bpac.org.nz/report/2018/AnnualReport2018_SampleGPReport.pdf (Accessed Dec, 2018). Ministry of Health. Pharmaceutical Claims Collection. 2018. Johnson DA, Fennerty MB. Heartburn severity underestimates erosive esophagitis severity in elderly patients with gastroesophageal reflux disease. Gastroenterology 2004;126:660–4. Farrell B, Pottie K, Thompson W, et al. Deprescribing proton pump inhibitors: evidence-based clinical practice guideline. Can Fam Physician 2017;63:354–64. National Institute for Health and Care Excellence. Gastro-oesophageal reflux disease and dyspepsia in adults: investigation and management. 2014. Available from: https://www.nice.org.uk/guidance/cg184/chapter/appendix-a-dosage-information-on-proton-pump-inhibitors (Accessed Nov, 2018). Mitchell H, Katelaris P. Epidemiology, clinical impacts and current clinical management of Helicobacter pylori infection. Med J Aust 2016;204:376–80. New Zealand Guidelines Group. Suspected cancer in primary care: guidelines for investigation, referral and reducing ethnic disparities. 2009. Available from: https://www.health.govt.nz/system/files/documents/publications/suspected-cancer-guideline-sep09.pdf (Accessed Dec, 2018). National Institute for Health and Care Excellence. Dyspepsia - proven GORD. 2017. Available from: https://cks.nice.org.uk/dyspepsia-proven-gord#!scenario (Accessed Nov, 2018). You can still add a fresh comment by scrolling to the bottom of the discussion and clicking the "Add a comment" button.